This Sahara bar is available to suit all vehicle models and is equally suited to winch and non winch applications. 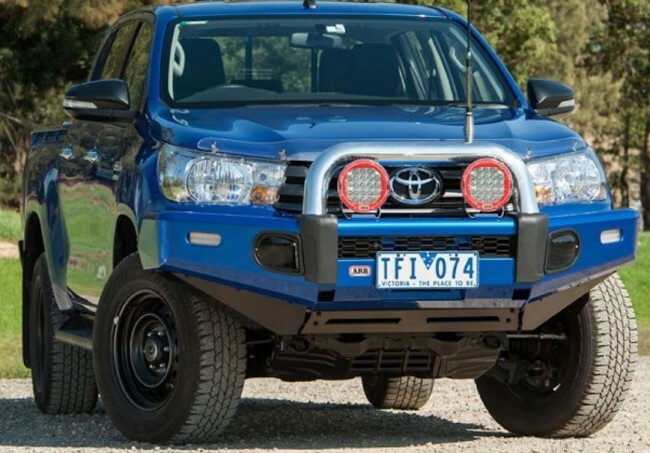 Engineered to be a practical addition to your vehicle no matter where you take it, the Hilux Sahara bar is equally suited to winch and non winch applications. To complete the job, you will need to purchase the rubber buffer set part number 5100230. Please note, chrome A bar not available.